Hello my lovelies! It's Monday again but this time the sun is actually shining. The rain we've had in the last week has made me feel quite down and I haven't been very productive. Hopefully today will be better. 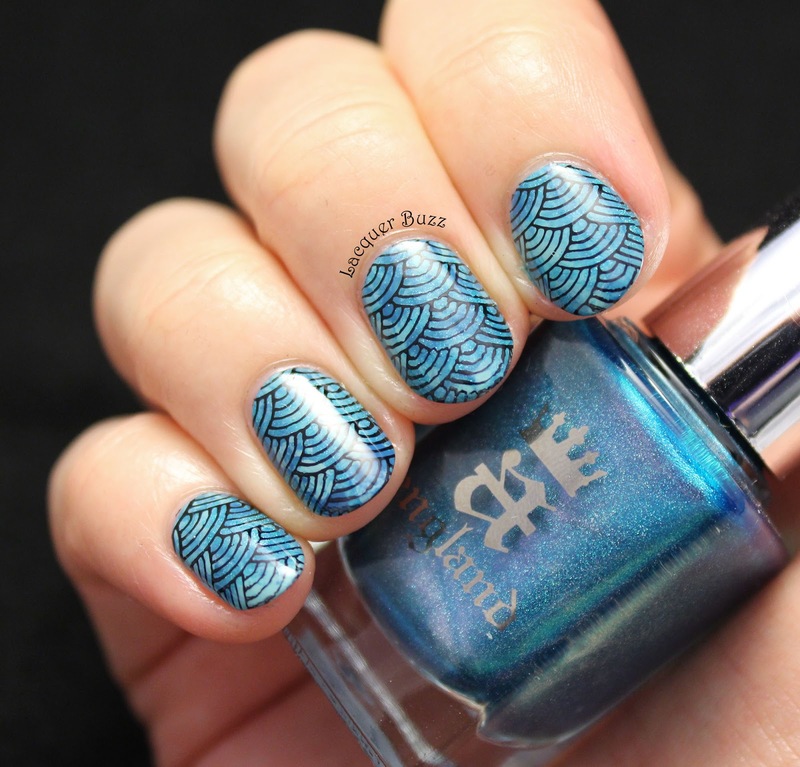 This weekend I got inspired to do some mermaid nails. 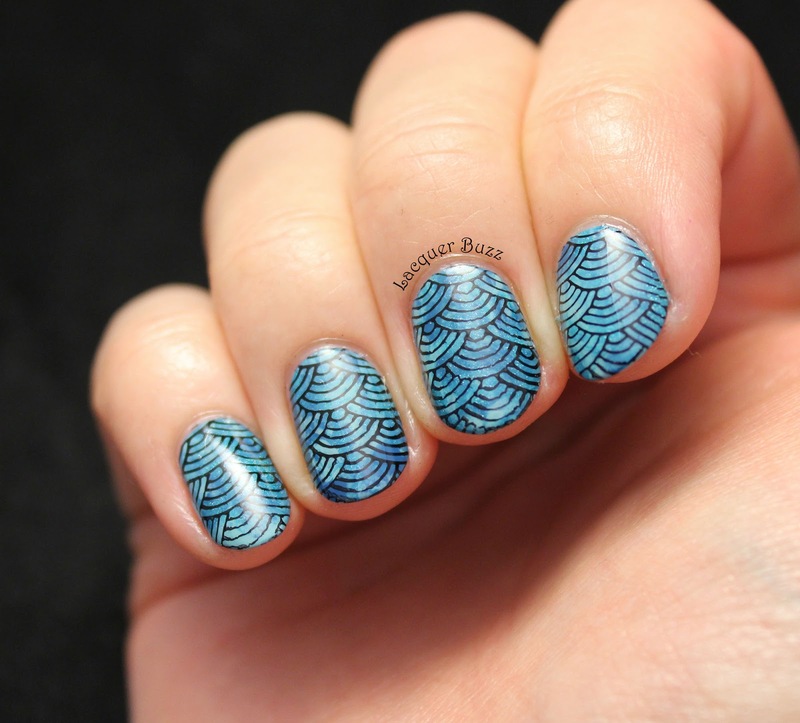 I was absolutely sure that my huge stamping plate collection had at least one fish scale image but it turns out it doesn't. So I ended up using something similar but with a geometrical theme. I used some mermaid tail colors and this is what came out. 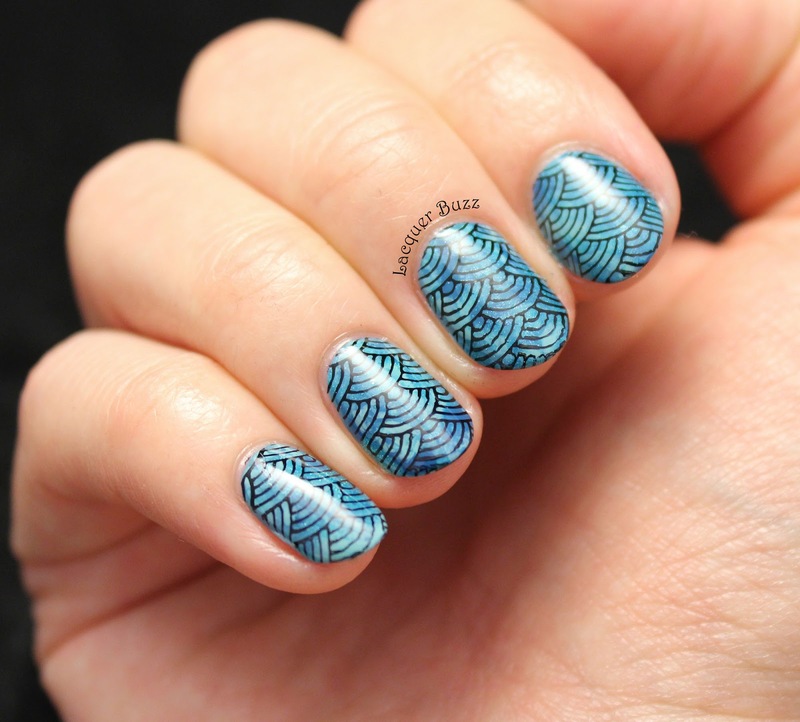 The base for this manicure is another easy and gorgeous stamping marble. I haven't done one in a while and I think it's perfect for the theme. 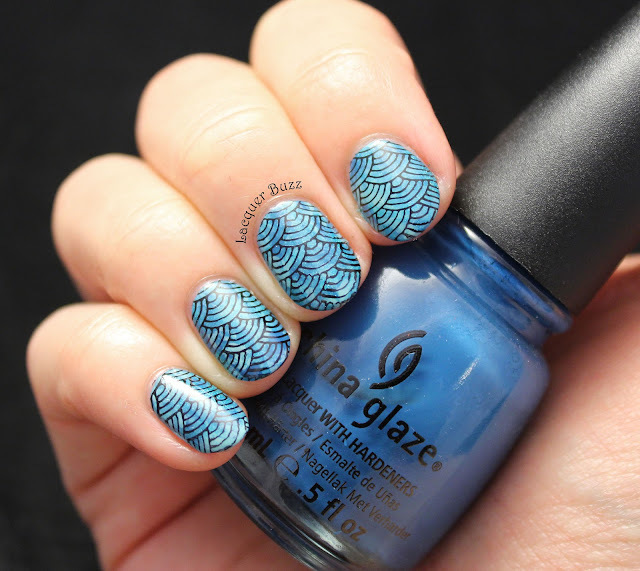 I used two a-england polishes and two China Glaze polishes. As a base I used one coat of the perfect creme that is a-england Galahad. I haven't used this polish in ages and I don't know why because it's gorgeous. For the marble I used China Glaze For Audrey and Shower Together and also added a-england Whispering Waves for a bit of sparkle. I already was in awe with how this came out but had to add a little stamping using Mundo de Unas Black and an image from Moyra plate 08 Geometry. This kinda resembles some scales, although they are more structured. I still can't believe that I don't own a proper fish scale image. I got a ton of compliments for these nails today at work so they must be as great as I see them. Hopefully I can wear them for the whole week. Make sure you check out the rest of this month's Monday Blues by clicking the links below!